Each uniquely hand-stamped necklace helps ReBuild confidence, value and dignity by providing a low-barrier, part-time job to a Whole Way House member and supports our Community Programs while honouring the “I Get To” Legacy left by Co-Founders Jenny & Josh’s father, Ron Konkin. 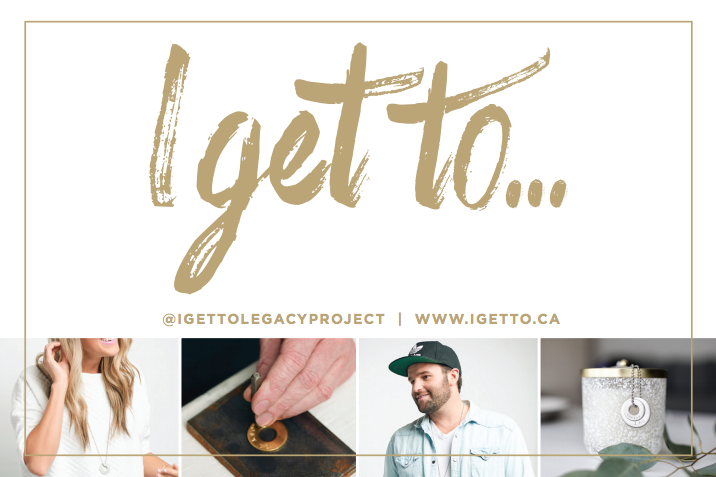 The “I Get To” Legacy Chain is a stylish and simple reminder to live each day asking yourself “What do I GET TO do today?” or “Who do I GET TO be a Lifeline to today?” This is the legacy that Whole Way House Co-Founders, Jenny & Josh’s father, Ron Konkin, left them after he was diagnosed with terminal cancer in 2009. Each necklace is uniquely hand-stamped and assembled by a guest at Whole Way House Society in Vancouver’s Downtown Eastside. The part-time work gives an opportunity for someone who struggles with mental illness and/or addiction issues to creatively work with their hands at their own pace and in a safe and comfortable environment to ReBuild dignity, value and purpose in their lives. The proceeds from each necklace go to help fund the Community Programs at Whole Way House and to the ‘Ron Konkin Legacy Fund’ for couples and families in crisis to attend the Relationship Lifeline weekend, which was Founded by Ron & Tina Konkin. We hope you will be inspired to start asking yourself “What legacy do I GET TO leave?” and live each day on purpose to positively impact those around you. Find our full “I Get To” line and check out our new “I Am” line below. Donations over $25 will receive a charitable donations receipt immediately upon payment. Copyright © 2013 – 2018 Whole Way House. All rights reserved.